Your documents and printed material say a lot about you and your business - first impressions count. Are your documents talking convincingly to your customers or are they falling short of the excellence your customers expect? Our overriding goal at TBSL is to improve the impact of the documents you produce whilst increasing your staff efficiency and, wherever possible reduce costs. Why not let TBSL carry out a free, no obligation print audit? Whatever your operating system and application software might be, TBSL provides a tailored solution from our range of copying, printing and scanning products that addresses the specific needs of your organisation. With options to lease or buy, TBSL provide products from traditional ‘stand alone’ photocopiers or printers to high quality and speedy network linked copy, print, fax and scan solutions - both mono and colour. Whatever the solution you can be sure to get equipment that you can trust from a company with an innovative outlook and a proven history. We are proud that our exemplary after sales training, service and technical support has resulted in maintaining successful, long term relationships with all our customers. All our engineers are time served and fully manufacturer trained. A Canon Business Partner, TBSL one of the few companies in the UK to provide field technicians to service and support Canon for their National contracts, namely; MOD, Environment Agency and the NHS. Supporting these machines in and around Lincolnshire for Canon acts as a tremendous endorsement to the skill set and competence of our engineers. This means that you can be confident that your equipment is reliable and performs to its optimum capacity. 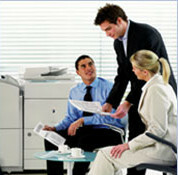 Let TBSL carry out a free, no obligation print audit of your business. You never know, we may be able to provide an upgrade to your current photocopy or printing system – all within your existing budget! Why not give us a call now on 01522 888580 or use our live chat to discuss how TBSL could help your business be more efficient? Or alternatively, fill out our enquiry form and we’ll get back to you.